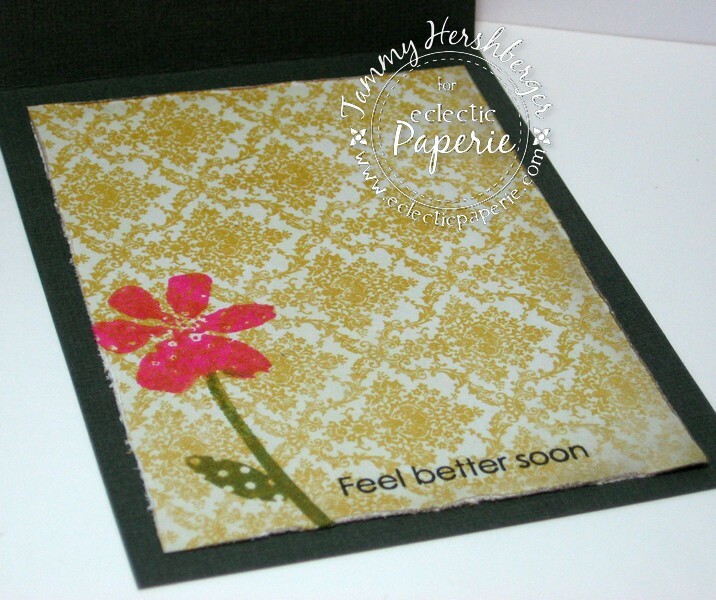 Hi everyone, it’s me Tammy and I’ve got a card full of detail to share with you today, using lots of products from the eclectic Paperie store. I used a new Studio 490 Wendy Vecchi stamp set from Stampers’ Anonymous on this card called “Art is Therapeutic”… it’s a really fun stamp set! I stamped the flower with Ranger Distress inks in Picked Raspberry and Peeled Paint, then masked it and stamped the medicine label using Brilliance Graphite Black archival ink. 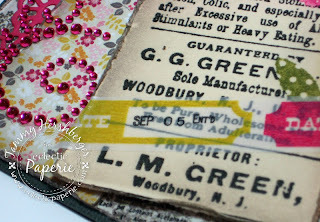 This was all stamped on an Inkssentials #5 Manila Tag, then I distressed the edges and sponged on some Pumice Stone Distress ink. The papers I used here are from My Mind’s Eye “Honey” 6x6 pad, and I embellished with some Prima Pink Mini Rhinestone Swirls, some Scattered Straw dyed seam binding, a Berrylicious Buttons Galore button, and a lacey die-cut border. I also added…..
And here’s the inside! 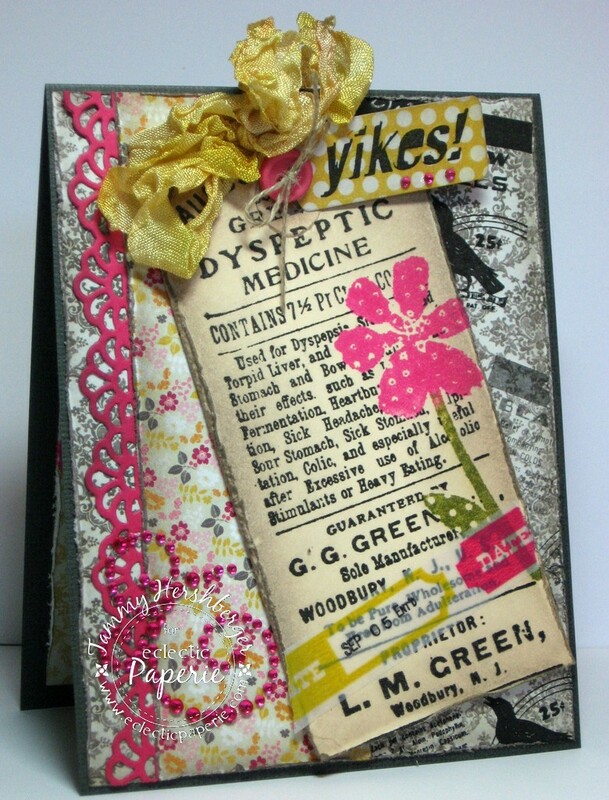 Since the big stamp in the set is like a label from an old medicine bottle, I decided to make this a get well card! You’ll find links to everything I used on this card by clicking on the bold-face words in the text, so you can just head over to the eP store and pick up your own stamping goodies! Thanks for stopping by, and happy stamping! Awesome card, like the color combo !